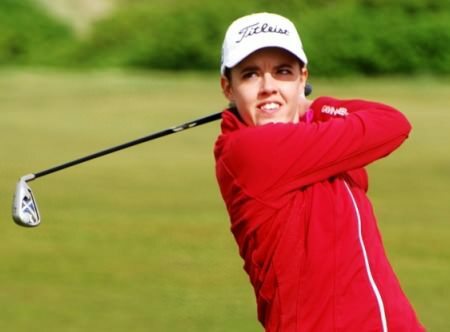 Lurgan's Niamh McSherry (74-75) is 17th on two under with Lisburn's Curtis Cup hopeful Paula Grant back in 26th on one over after rounds of 77 and 74 with the eight-strong side for the matches in St Louis set to be announced on Tuesday next. The Heath's Mary Doyle (75-77) is 298th on two over with Royal County Down Ladies' Olivia Mehaffey surprisingly 38th on three over after rounds of 78 and 75, one better than Castletroy's Chloe Ryan (78-76). Ballybunion's Emma O'Discoll finished tied third in the Welsh Ladies Open Stroke Play Championship but it remains to be seen if Eilidh Briggs victory at Prestantyn will leave Casltetroy's Chloe Ryan and Lisburn's Paula Grant relying on the two selectors picks for a Curtis Cup call up on Tuesday. Ballybunion's Emma O'Driscoll fired a super 68 to go into today's final round of the Portuguese International Ladies Amateur Championship in a five-way tie for third place. The Heath's Mary Doyle carded the low round of the day — a three under par 69 — to claim a share of seventh place in the Portuguese International Ladies Amateur Open in Lisbon.